In that case, can you send me the map so I can take a look? The last I checked all three shrines worked fine for save/load. Edited by Begrezen at 01:23, 06 Dec 2018.
the spell is protection for water in shrine of magic incantation. Indeed the map doesn't matter, but the case does! Thanks for letting me know the details, a fix is found and will be part of next version. Edited by RoseKavalier at 03:50, 11 Dec 2018. [-] Fixed a missing check with Shrines of Magic. A lot of the code was rewritten from scratch and is much more optimised in some areas. I have more stuff planned but it's not ready for release; I just went ahead with this in order to fix the Shrines of Magic issue and to issue out a few more things. EDIT: forgot to include some standard libraries for folks without them. Should work now. EDIT2: I left a mistake in there, it should now be fixed. If you've downloaded before December 10th, redownload to fix. Any other confirming if it works or not and on what install they tried it? It's work. 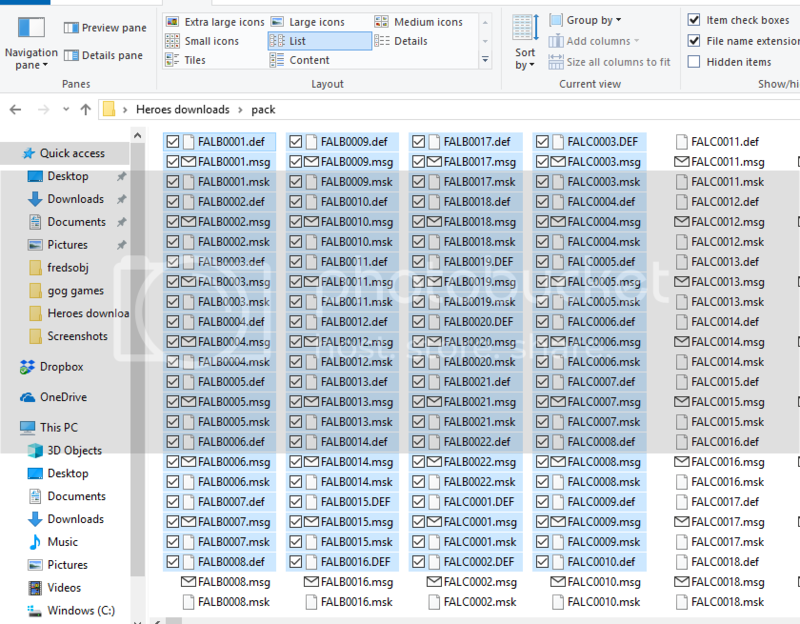 You just need to copy-paste all new files in Unleashed folder. Edited by fanofheroes at 04:35, 18 Apr 2019. I'm not exactly sure how I did this but it's working now. Oqix by any chance did you recall how you were able to add the objects patch to Unleashed? I have a couple of patches I'd like to add but there's literally too many defs to go one by one to add them. Or does anyone else know a quick way to install object patches to be seen and used in Unleashed map editor? ...that being said, the Unleashed editor is essentially the WoG map editor so whatever you normally do to add item patches should work here are well. If I were you, I'd try placing the editor (along with patcher_x86.dll and Unleashed.ini) at the usual spot in your WoG/ERA folder and try the usual method from there. If it does work in the end, I'd be most gracious for you to explain the steps for future readers. So far this is the closest I've progressed but I need more help. 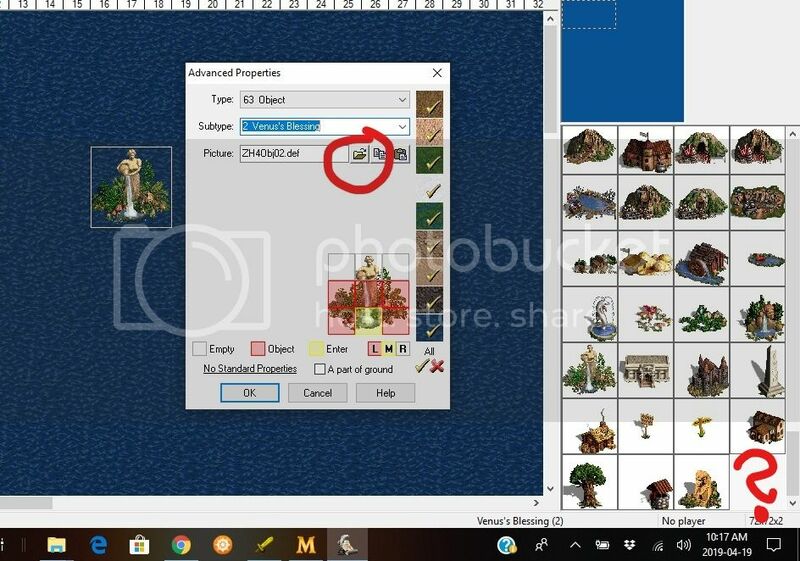 what've I've done so far is open an object pack in another folder, used MMarchive to Extract the images into that folder. 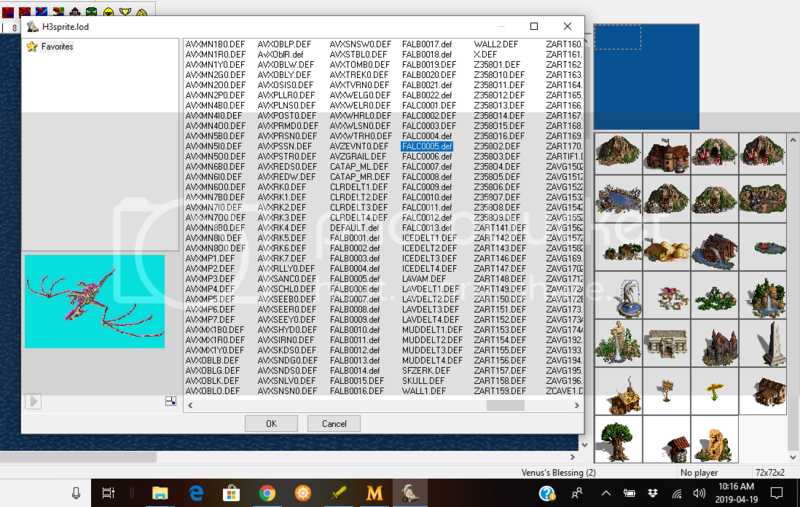 From there, I'd use MMarchive and open the H3sprite.lod file in the Unleashed folder and Add the selected image files. For some reason I couldn't do a mass addition because it would crash, so I tested it by selecting a few and going from there. and from there, I'd find the images I added to the H3sprite.lod file. Edited by avatar at 17:25, 19 Apr 2019. Download his mod, browse and open his files to figure out what inside and how that architecure works. And be prepared that massive addition can be impossible and you must add object manually one by one like other people do. After that, inside this mod you can find text file FREDOBJ.txt - this should give you a clue what else is needed for objects in map editor. The "typical" way, as far as I understand it, is to enable a mod in the ERA Mod Manager and then simply launch the map editor to gain access to the new goodies.... at least that's what I thought. It turns out all this does is enable you to see existing objects in a map using this mod (e.g. The Empire of The World IV). In other words, to gain access to these items normally, you have to follow what was previously posted and merge these new items into the Unleashed text files and lods. I find this quite sub-optimal and I will try to improve this for the future. Ideally, there would be a folder where you add your lod/pac containing def/pcx with a zeobjt.txt file and everything in here would be added to the editor as well. It's not going to happen anytime soon however.